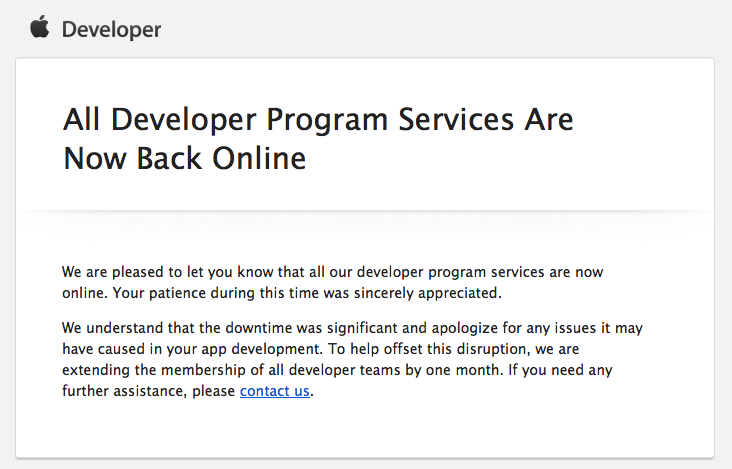 Apple said Saturday that it had restored the last of the developer services that had been out of commission following a hacking incident last month. The company, which has been gradually bringing back various services, said on Saturday it will extend all developer memberships by one month. 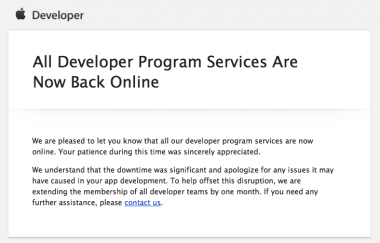 It apologized to developers who may have seen their work interrupted.